Nelson Honey Manuka Honey 100+ is made by fourth generation beekeepers in the South Island of New Zealand. 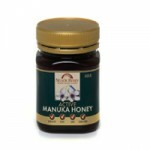 This boutique manuka honey producer produces high quality and delicious manuka honey. A larger jar of Nelson Honey Manuka Honey 100+ from a family run company has been beekeeping for four generations. 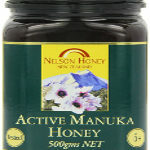 Nelson Honey is a boutique producer of quality manuka. Nelson Honey Manuka Honey 200+ is this boutique producer's manuka honey with the highest level of MG. Made in New Zealand's South Island by a family with a long history of beekeeping and producing delicious manuka honey. 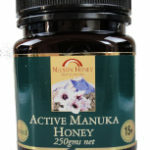 Manuka Honey 200+ is the top of the range of Nelson Honey's manuka honeys. Nelson Honey has been producing artisan honeys for four generations.